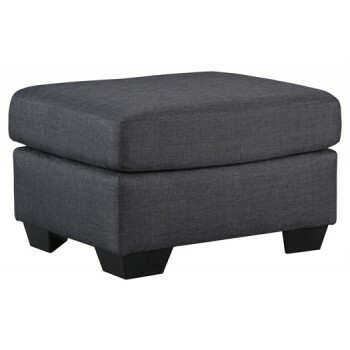 Renew your love of blue with this casually cool ottoman. Its textured indigo-hue upholstery is a welcome sighting in a sea of beige. Thick cushioning is abundantly comfortable. Tapered block feet enhance the contemporary vibe.